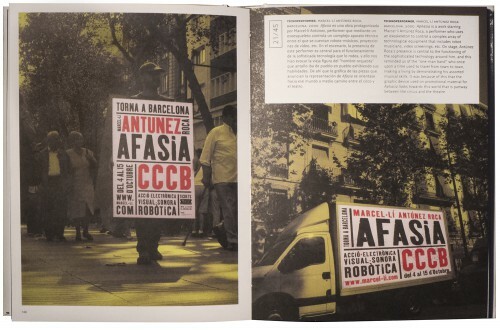 One of my favourite Cosmic posters, designed in 2000 for Afasía, a performance by actor-artist•inventor Marcel•li Antúnez Roca. I was fascinated by the weird and confrontational work of Antúnez Roca, who was part of theatre company Fura dels Baus before going solo. 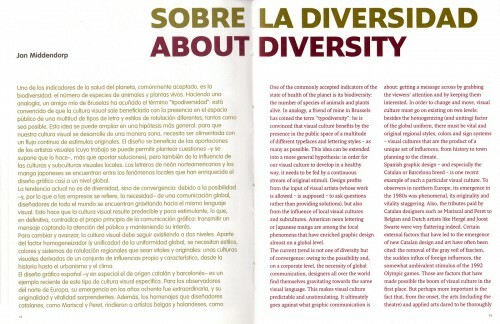 I interviewed him for the Barcelona issue of Druk magazine, introduced to him by Laura Meseguer, who became one of my advisers for that issue. My article for the Cosmic book was one of three short essays. The other authors were Mela Dávila and Raquel Pelta. I became friends with Laura Meseguer in 2000 when preparing a special issue of FontShop Benelux’s Druk magazine dedicated to Barcelona. We stayed in touch. 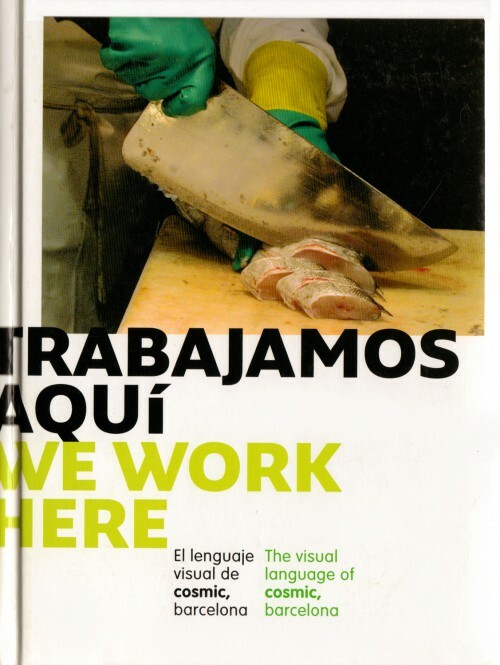 Some years later she and her then-partner Juan Dávila invited me to contribute to Trabajamos aquí • We work here , a wonderfully produced book showing their body of work. I was in great company, the other authors being Mela Dávila and Raquel Pelta.